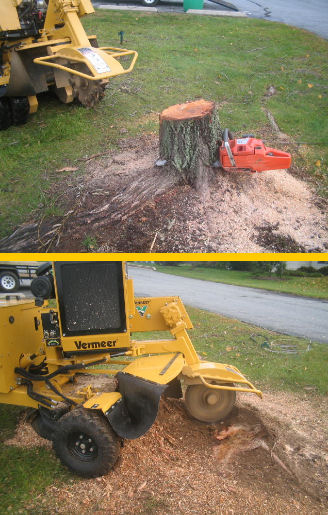 The job of tree removal is not finalized until the stump is removed in its entirety. We have several stump grinding machines which can be used depending on access and degree of difficulty. From the smallest 30hp grinder which can fit through a side gate, to our largest 70hp track operated grinder – we have every stump covered. The grinders simply grind the stump leaving you with fantastic mulch to be used anywhere on your property. Remember that if a stump is left to rot it is a magnet for termites.